Coffee, tea, red wine, smoking, soy sauce can all lead to tooth discolouration. Teeth whitening can revive teeth back to a brighter and whiter smile. Teeth whitening is a safe procedure when done by a qualified dental professional. We use the most effective and safest whitening products available, to ensure you get a good result, with a minimum amount of sensitivity. 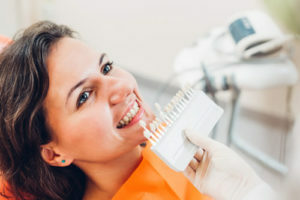 Teeth which are blackened by trauma, old amalgam fillings, or by an old style root canal can also be whitened through internal tooth whitening or covered with composite or porcelain veneers.